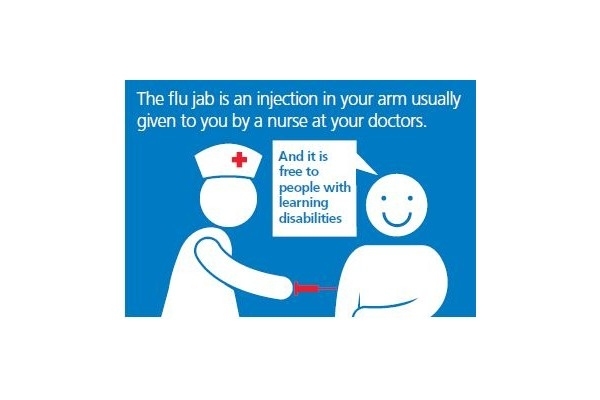 NHS England is working to increase uptake of the flu vaccination for people with learning disabilities and those who care for them this winter. Importantly, paid carers who are employed by a registered care provider are eligible for a free flu vaccination this year, as well as primary family carers. If carers have the vaccination this improves protection for the people they care for. An easy read information sheet (aimed at people with learning disabilities and their carers) has been developed with the National Development Team for Inclusion explaining this. It is hoped that this will give people the information they need to get their vaccination at either their GP surgery or pharmacy, and overcome any barriers to that happening. It is not yet well known enough that this group, and their carers, are eligible. An easy read leaflet, suitable for GP surgeries, is available. There is also published guidance about flu vaccinations for people with learning disabilities aimed largely at health and social care professionals.